While surfing may look easy, there’s a lot to learn if you’re a beginner. Like any other sport, it takes some hard work and practice. 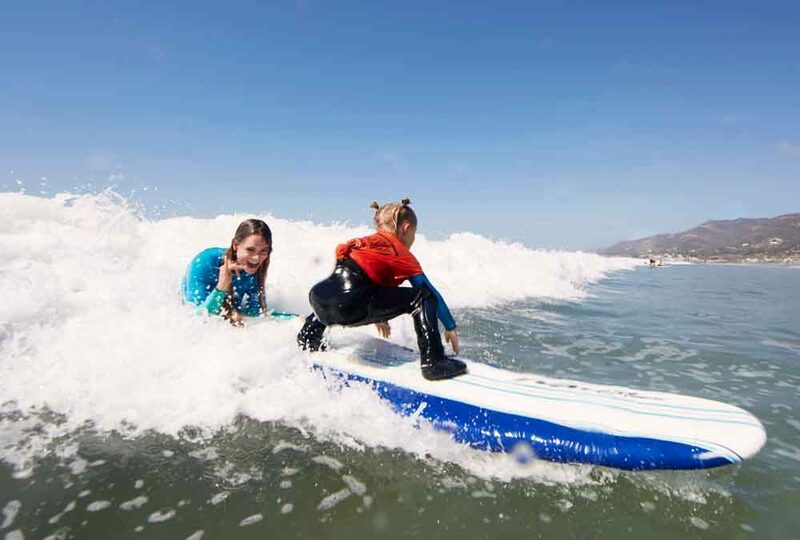 If you’re ready to take surfing lessons in Malibu, here’s a look at some helpful surfing tips for beginners to keep in mind. Every surfboard has a center of gravity and when you lay on a surfboard, you need to find the balance point. When you’re just learning, it’s a good idea to find this point and then mark the point where your chin is. This way you hit the same spot every time. Don’t make the mistake of paddling with both arms at the same time. Instead, make sure you paddle using a crawl stroke so you keep up a constant speed in the water. After you master lying on the board, you need to know how to sit on it. It may feel wobbly at first. Just try being still and calm. Even though you’ve known how to stand up all your life, it’s a lot different doing it on a board in the water. Practice standing up from lying on the board while your board is on the sand. Practice over and over again until you master this on land. Then, you can try it in the water. You should start with a basic board that matches your size. Soft boards are great options for beginners that want to learn to surf LA. Since you’re a beginner, you want to start surfing on a sandy, straight shoreline that doesn’t have any reefs and rocks. You never want to have the board between you and the oncoming waves. The waves could make the board bash into your head. Beginners taking surf lessons Malibu should also wear a leash. This way you don’t lose your board and you have the buoyancy of the board if you fall off. This means you wait your turn when you’re in the lineup. Don’t drop in on someone else who’s catching a wave. Paying attention to surfing etiquette shows respect for others and prevents accidents. You need surf wax on your board so you don’t slip off. Get the right wax for the water temperature and apply plenty of wax so you have traction on the board.